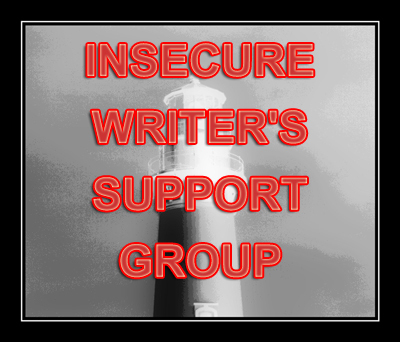 Today is the first Insecure Writer’s Support Group meeting of 2019. The IWSG virtually meets the first Wednesday of each month, and gives participants a chance to share struggles, triumphs, quandaries, and fears. Finishing A Dream Deferred: Lyuba and Ivan at University, my fourth book with my Russian characters. So far, Part II is coming along much faster than Part I did (not least because I haven’t taken any long hiatuses!). It’s set from September 1948–November 1952 in the Minnesota Twin Cities and Duluth areas, NYC, San Francisco/Berkeley, Toronto/Guelph, Hiroshima, Nagasaki, and Tokyo. Do final polishings of and finally release the books formerly known as The Very First and The Very Next, the chronological first of my Atlantic City books, set in 1938 and 1939. Part II of the second book also includes chapters in Poland, Paris, and Portugal. Possibly get back to work on my radical rewrite and restructuring of the book formerly known as The Very Last, set in 1940. Make preliminary chapter-by-chapter notes for and begin writing my fifth Russian historical, From a Nightmare to a Dream: Out of Stalin’s Shadow, set from March 1953–sometime in 1956. I just came up with a great third major storyline, with the four characters serving with the Navy in the Korean War. I’ll also be doing more book reviews, and continuing to feature films and albums celebrating a landmark anniversary. I haven’t put this year’s list together yet, but I know it’ll include Tommy (1969), Gone with the Wind (1939), The Wizard of Oz (1939), Abbey Road (1969), The Cocoanuts (1929), A Hard Day’s Night (1964), and White Heat (1949). Another blogging focus for this year will be resuming my long-running “A Primer on __________________ Names” series, with languages including Armenian, Italian, Greek, Aragonese, Basque, and Anglicization of immigrants’ names. When I’m positive I’m finally finished with this series, I’ll publish it in book form, with expanded commentary and lists. On a non-writing note, I’d like to be down to 150 pounds by the end of this year. At the start of June 2017, I was close to 220 pounds on a frame just under five feet two inches in bare feet, and within spitting distance of being classified morbidly obese. As of December 2018, I’d gotten down to 164, only a few pounds away from merely being considered overweight. With my body type, it’s laughable to think I could shrink down to 137, what the BMI claims is the highest “healthy” weight for my height, but I’ll settle for 150. I feel so much healthier after losing over 50 pounds! P.S. : All my e-books are on sale for 99 cents at Amazon and Nook through 5 January! You can find the buy links here. It’s spring! Does this season inspire you to write more than others, or not? In past years, I remember having felt more inspiration and renewal for writing as spring took bloom, though I can’t specifically recall the same experience in recent years. Due to my shaken confidence in my usual daily wordcounts, I set my April Camp NaNo goal at only 25K. The first 5,200-odd words came from A Dream Deferred (since I had to finish that chapter before switching gears), but everything else came from my alternative history. I reached my lowball goal on Day 14, validated as soon as Day 20 began, and ended up at just shy of 55K. This book is written wildly out of order, which I still feel I need to do emotionally, but that strategy also makes it harder to go on a consistent, beginning-to-end emotional journey with these characters. Regularly jumping from Point A to Point D to Point R to Point Z to Point L and back again means I don’t always remember important developments or details. I finished the last chapter in Part II, and have finished most of Part III. I also did a smidgen of work in Part I, though my primary focus during Camp NaNo was Part III. Once that’s done, I’ll spend May going through from the start, editing, rewriting, and filling in any remaining gaps. With my rate of progress this past month, I’m confident I can power through Part IV (about 25% done), and then work on these appendices I totally forgot I’d planned. I also realized part of the reason for my admitted emotional distance (most glaring in Part I) was because I was trying to be too close to third-person limited. That’s just not my natural voice at all, even when a book is unusually (for me) focused on just one or two characters instead of a large ensemble cast. Thus, I developed some of the secondary characters more, even though this isn’t their story. I also finally figured out what to do with Grand Duchess Anastasiya, who had zero lines in all those words. Her reaction to the traumatic cataclysm is to shut down and barely say more than five words at a time. Her second-cousin, Prince Roman Petrovich (who survived in real life), has a marvellous effect on her, so much so her uncle, Grand Duke Mikhail (the Regent), realizes what a good marriage match they’d be. Prior, it was just announced they’d married in early 1920. I do think a more formal voice works for this specific book, but as it stood, it was too emotionally distant. Better to find solutions for it now, instead of going through mental gymnastics to justify it and only belatedly realizing what a snafu that was. Near the start of April, I changed my desktop picture to feature my protagonist and his sisters. Every time I look at it, I’m held accountable for finishing the damn book already! I have an obligation to the memory of the dead. I love stepping back in time to another world which now lives only in memory, like 1840s Boston, 1890s St. Petersburg, or 1940s Manhattan, with all the bygone fashions, demographics, architecture, cost of living, cars, films, streetcars, social movements, technologies, etc. I finished the surprise two new chapters and epilogue for the book formerly known as The Very First. Not counting front and back matter, it’s about 90K. The hot mess of a first draft was only 38K. I’m really proud of the work I did on this radical rewrite and restructuring. Coupled with the fact that the book formerly known as The Very Next went from 25K to 75K, after another radical rewrite and restructuring, I’ve started thinking maybe my Atlantic City books aren’t meant to be as short as I thought they were. Granted, by my standards, 75–90K is still pretty damn short! Ignore the obviously non-Russian names like Amy and Leon, and the pretentious use of accent marks. I was only 21 when I made these notes. I also came up with titles for all three, and started pulling ideas together for the seventh book, to be set from 1966–sometime in the Seventies. Lastly, I finally typed up the Cast of Characters section for the second prequel, from the handwritten family-by-family pages I made at 21. Finally, I finished the hiatused Chapter 33, “Quintuple New Leaves,” of my fourth Russian historical, A Dream Deferred: Lyuba and Ivan at University. It clocked it at my longest of this book so far, at 17,282 words. Prior, my longest chapter was the 17,247-word “Union with a Snake” of The Twelfth Time: Lyuba and Ivan on the Rocks. Pages counts hyphenated words, like twenty-two, as two words, so I know the wordcount is slightly higher than it really is. Chapter 34, “False Paradise,” is going very quickly and easily. I think I’ll have an easier time from this point out, though I also still need to get back to my alternative history for a 17 July release date. I’m confident I can finish writing and editing it in time if I approach it very strategically. Part I is done, Part II is 99% done, Part III is at least 85% done, and Part IV is maybe 25% done. This beautiful little boy is counting on me to give him the happy ending he was cruelly denied in real life. I have an obligation more pressing than merely finishing what I started already.